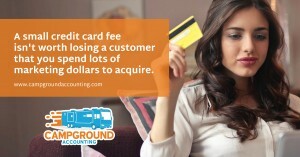 Some RV parks still don’t accept credit cards, despite the fact that the competition does. Some campground owners feel that paying 2% to 3% to credit card processing companies is a waste of money, especially if they have high occupancy at their parks. However, accepting credit cards means your campground will have more demand since customers who won’t pay with cash can now stay there. In essence, you are expanding your base of potential customers. This means that you can charge higher peak prices more often because there will be more demand for reservations at your campground. Here are six additional reasons why all RV parks should accept credit cards as payment. Campground visitors already use their credit cards to pay for gas, purchases, and to make online reservations. Some customers no longer even carry cash with them. If you want to secure their business, you need to accept credit cards. 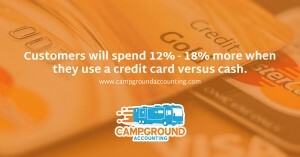 Consumers want to pay by credit card and will go to another campground that allows them to. Instead of saving 2% to 3% on credit card fees, RV parks that don’t accept credit cards will lose 97% to 98% of that revenue when customers go to another park that does. It doesn’t take very many additional customers or a large increase in prices to make up the 2%-3% credit card fee. Most cash-only businesses are small. Taking credit cards adds a sense of legitimacy to your business because it says to customers that your campground does a lot of business and is legitimate. Most established businesses accept credit cards. Even Dollar Tree and McDonald’s understand that accepting credit cards is simply the cost of doing business. Plus, by using an RV park accounting system that accepts credit cards, you’ll have an easy record of your campground’s income. With cash-only businesses, customers may wonder if your business doesn’t take credit cards in an effort to avoid your tax liabilities. Even if you are on the up-and-up with your taxes, it creates a negative impression in the eyes of consumers. Even if your customers still choose to use cash, they will feel more confident spending money with your RV park because they see that credit cards are accepted. Customers in all industries have come to expect that they will be able to pay using whatever method they choose. By accepting a wide range of payment options, including American Express, Discover, MasterCard, and Visa, your customers will be able to spend money with you no matter how they plan to pay. It’s an easy way to improve customer satisfaction without having to do a lot of extra work. Have you ever gone to a business with your American Express card only to find out you can’t use your card to pay? It’s a frustrating experience. You can help your campground’s customers avoid this by simply accepting whatever forms of payment your customers want to use. The very small fee isn’t worth losing a customer you’ve already spent money on to acquire. Financial expert Dave Ramsey recommends those trying to save money use only cash for their purchases because those using credit cards spend more. Even those price-sensitive customers trying to save money will spend more when they use a card. One research study conducted by Dun & Bradstreet found that people spend 12% to 18% more when they used a credit card over cash. As a business, your campground wants customers to spend more money. This is how you will increase your profitability. You want them to be willing to spend a little more on rates, as well as items you sell from your campground office or gift store. 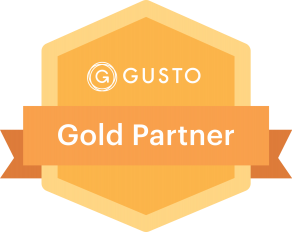 Make it easier for campground visitors to spend more money with your company over a competitor. Accepting a lot of cash makes your campground a bigger target for theft. That theft could be from an employee or from a potential for robbery. Employees who handle a primary cash often justify to themselves that part of that money should be theirs. They work hard and don’t feel they are paid as much as the owners of the campground. So the “sticky finger” syndrome can become an issue. Maybe they ring up a purchase or site rental at a discounted rate and pocket the difference. Generally, these start out with small dollar amounts to “test” the system. If they go undetected, they gradually increase the amounts and this can lead to tremendous amounts over time. If your campground generally has large amounts of cash on hand, your employees and your guests both can see that and it could make you a target for a robbery. Credit card processing can be fully integrated with a good online reservation system – getting you your money sooner. Cash takes time to deposit, collect, and show up in your business bank account. Depending on your deposit and payment policies, it could be months before your customer actually stays with you. It makes your campground accounting processes easier to simply have this information online. There are so many more reasons why accepting credit cards is a smart decision for campground owners, such as avoiding the fees and lost revenue associated with accepting a bad check, lower chance or employee theft or robbery. Plus, the IRS loves to audit cash businesses. This list contains only a few. 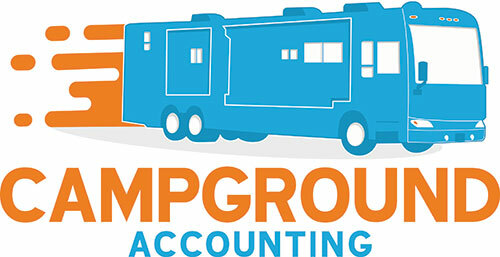 If you need campground business help, check out the resources available at Campground Accounting, where you’ll find the industry-specific advice you need to grow and streamline your campground or RV park business.